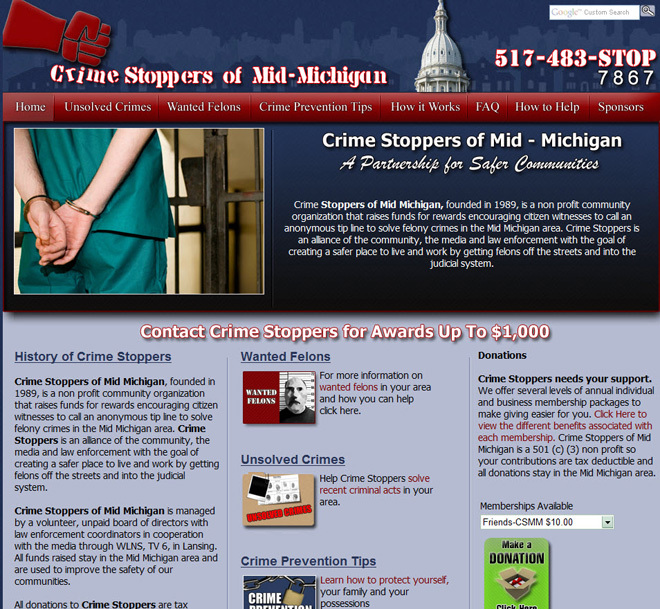 Project Description: When Crime Stoppers first contacted me, they had nothing more than a domain name. Their primary focus was a website where people could view pictures of wanted criminals and a place to list unsolved crimes. In addition, they wanted a website where people could make donations to the organization via the internet.